My guest today is Weyes Blood. Weyes Blood is Natalie Mering. She just released her new album, “Titanic Rising.” And I am obsessed with it. It has this big, amazing sound. She is a great songwriter. Each song is like a play in itself. It is an absolute marvel of an album. This was part of a larger conversation. My guest today is Natalie Mering. Natalie Mering: There is this one Barry Gibb demo called “Midsummer Nights.” Speaking of songs I cannot stop listening to, that was a very serious can’t stop listening to that song. Justin Barney: Why were you obsessed with that song? 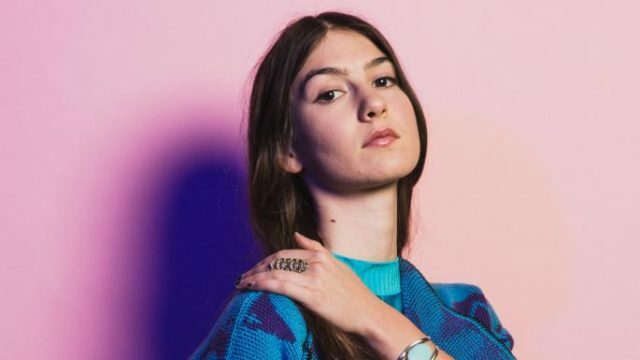 Natalie Mering: It’s got a super good feel. It’s got the country, it’s got the pop, it’s got the crazy Bee Gee’s chord changes, and really incredible lyrics. It’s one of those big ones. Barry Gibb wrote, “Islands In The Stream.” Which was a really big song. It was right around that time that he also wrote “Midsummer Nights,” but “Midsummer Nights” wasn’t covered by a really big artist and turned into a big hit. But it has that same kind of quality to it which is larger-than-life monument to love in the ’80s or something. Justin Barney: What is it about? Natalie Mering: It’s about how this guy loves his midsummer nights, naked with his girlfriend, just hanging out. Justin Barney: That’s a great line! Natalie Mering: It is. We need to experience the rough times to really appreciate the joyful times and vice-versa. Listen to our full conversation here. Justin Barney: So, we are in the membership drive right now and I want to talk to people on staff who are usually not behind the mic. Kristin, this is your first time behind the mic. Kristin Kuhrasch: It is, yes. Justin Barney: What do you do here at 88Nine? Kristin Kuhrasch: I am the development assistant here at 88Nine. Justin Barney: So, what does that mean? Kristin Kuhrasch: Basically, if you email about your membership, if you call about your membership I am the person that you are going to talk to. Justin Barney: What a lovely person to be able to talk to. Kristin Kuhrasch: Aw, thank you. I love it, yeah. Justin Barney: What is one song that you can’t stop listening to? Kristin Kuhrasch: The song that I can’t stop listening to right now is, “Summer Wind” and it’s by Frank Sinatra. Justin Barney: Aw, my heart! Okay, where do we start with this? Justin Barney: First, let’s gush about Frank Sinatra. What do you love about Frank? Kristin Kuhrasch: Ah, god. I mean he’s the easiest person to gush about. So, it’s hard to pick and choose, but I think when you start deep diving into his more obscure songs. They get really emotional and hearing him and his voice be really emotional, there’s just something about it. I love it and with this kind of weather going on right now like, I’m waiting for summer. So, Frank has just been carrying me through. Justin Barney: Okay, and so then this song is a deep cut I take it? Kristin Kuhrasch: I think so, I mean my dad was a really big Frank Sinatra fan and so I got really into him, because of him. But, now that I’m listening on my own. Like, it took me a few years to find this song, but also I could just be slow to the game. Justin Barney: And so, what do you like about this song in particular? Kristin Kuhrasch: It’s a really beautiful story. Justin Barney: What is this story? Kristin Kuhrasch: So, I love lyrics and it’s a great Frank Sinatra lyric song. It’s about this man who falls in love with this girl in the summertime and they kind of have this romance and all of a sudden at the end of it the summer wind just kinda sweeps her away. So, she exits along with that season. And it’s not necessarily sad. It’s just him admiring what he had. Kristin Kuhrasch: Yeah, it’s really nice. Justin Barney: That’s a good sentiment for a song. Kristin Kuhrasch: It’s really nice, yeah. My guest today is Oh Pep! Oh Pep! is a duo of Liv and Pep. They released their debut album “I wasn’t only thinking of you” and it is clever and poppy and genius. We’ve been been playing this song “What’s the Deal with David.” My guest today is Liv from Oh Pep! Justin Barney: Okay Liv I’m going to ask you a very personal question, what song is on pause right now on your phone? Liv Hally: I don’t know the answer to this… OHH! Okay this is cool! Justin Barney: 28 seconds in I pull you into an interview. Liv Hally: So I gotta go! No, but I love this band so much I can not wait to listen to the rest of it! Justin Barney: Okay how do you know the band? Liv Hally: Well actually we know them from kickin’ about town in Melbourne, but last Australian tour Jackson, the lead singer of RAT!hammock opened our shows for us. Mostly just so we could watch him every night because we’re such fangirls. And yes I’m very excited about this new single. Justin Barney: That’s great! What do they sound like, if you could describe what we’re about to hear. 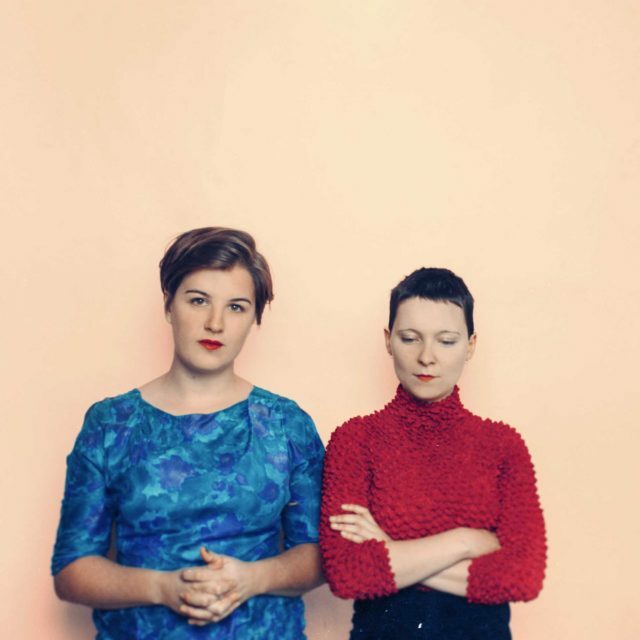 Liv Hally: They’re like a Melbourne indie band and kind of rocky, poppy vibes. That sounds so generic. Justin Barney: That’s how you describe music! That was my fault for asking you to describe music. Liv Hally: However! The reason that I love them so much is because of Jackson’s lyric writing. I just think he’s a wonderful lyricist, and I’m so excited about his work. So I can’t wait to hear the chorus. Justin Barney: This week we are in the membership drive and I’m talking to people that aren’t usually on the radio but make this place function everyday and today I am with our intern Jonathan Hudson. Jonathan, what’s up? Jonathan Hudson: Chillin, I’m good. Justin Barney: Good! What is one song you can’t stop listening to? Justin Barney: And what do you like about D’Angelo? Jonathan Hudson: My mom used to play D’Angelo and a lot of neo-soul around the house. I used to wake up when I was younger to Tom Joyner’s Morning Show, and I would always hear all the smooth, buttery sounds that they had and just that song in particular has really been resonating with me, because I’ve been trying to go and do some things with a career that I’m pursuing and it’s not been going out that good. Justin Barney: What career are you pursuing? Jonathan Hudson: I’m trying to make music, and I’m trying to produce, and I’ve been trying to make connections with people but it just hasn’t been falling through like that. My computer and most of my equipment is old. It’s not like it’s not happening, it’s just happening slow. Justin Barney: Sure, that’s normal. Jonathan Hudson: I’m not expecting it to happen fast but it’s like, I just wish it would work sometimes. But that song, the song “Alright” by D’Angelo is basically… he’s talking about a girl. And he’s saying that their relationship isn’t going that well and things are going to be okay and things are going to be alright. And I’ve taken that and it’s been symbolic to me as like the girl is my dream of making music, and then it’s going to be alright. And though it’s not going good right now, well it’s kinda nasty but he’s like “A touch of you is just so great” and it’s like, just the thought of it, of making music is just so lit and so awesome. Oh and also the bassline there is just butter, pure butter. Justin Barney: Jonathan, I have been an intern, I have been an intern here at 88Nine. It will be alright. It will work out. What’s the name of the song? The final pick this week is my pick. One song that I can’t stop listening to is “Don’t Be So Hard On Yourself” by Alex Lahey. I am a SUCKER for a big old hook. A big giant chorus that comes in, that repeats, that you can sing to, and yell to, and love, and that is what Alex Lahey has on this song. It’s a pretty traditional structure, you know verse, chorus, verse, chorus, bridge, chorus, and I love it! When this chorus comes in you will be singing along by the second chorus and I love that and I will be singing along and listening to this a million times over until I know every single word and can just shout along with it. Shout along with me on this track, it is “Don’t Be So Hard On Yourself” by Alex Lahey.